The patented Smart Pot is a soft-sided, fabric container that has the rigidity to hold its shape and can even support large trees. In fact, the Smart Pot was originally developed for and has been used by commercial tree growers for over twenty years. 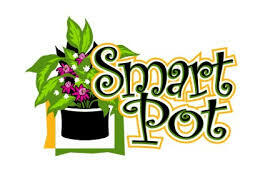 The Smart Pot is an aeration container. It has a unique ability to air-prune and enhance a plant’s root structure. A highly branched, fibrous root structure is the key to growing a better plant – with more flowers and fruits, and more resistance to insects and diseases. 1 gallon pot.